Não tenho idéia do valor desse livro. Entretanto, como é publicação da Springer, aqui está ele. Fiz umas pesquisas e coloquei alguns resultados abaixo para os leitores poderem fazer uma avaliação inicial. 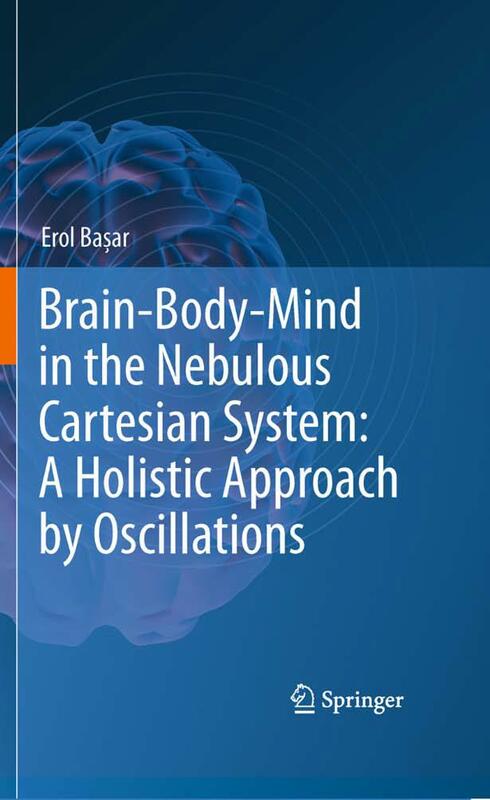 Brain-Body-Mind in the Nebulous Cartesian System: A Holistic Approach by Oscillations is a research monograph, with didactical features, on the mechanisms of the mind, encompassing a wide spectrum of results and analyses. The book should appeal to scientists and graduate students in the fields of neuroscience, neurology, psychiatry, physiology, psychology, physics and philosophy. Its goals are the development of an empirical-analytical construct, denoted as “Reasonings to Approach the Mind”, and the comprehension of 20 principles for understanding the mind. This book amalgamates results from work on the brain, vegetative system, brains in the evolution of species, the maturing brain, dynamic memory, emotional processes, and cognitive impairment in neuro-psychiatric disorders (Alzheimer, Schizophrenia, Bipolar disorders). About the Author: Erol Başar, currently Professor of Physiology and Biophysics at The Kultur University Istanbul, is a pioneer in the field of Brain Dynamics and Oscillations. He has published seven monographs, edited 10 books, and authored or co-authored 250 papers in neuroscience and cardiovascular research. 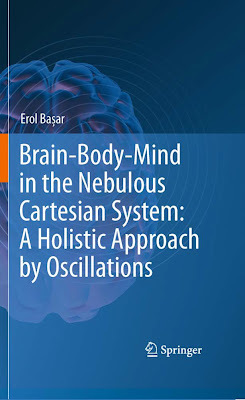 Başar’s monograph, EEG-Brain Dynamics (1980) introduced the functional importance of brain oscillations and the quantum concept; it is considered a milestone in neuroscience literature. The author was educated in high-energy physics and in physiology at the Universities of Munich, Hamburg and Hanover. He taught physiology at the Medical University, Lübeck between 1980 and 2000. He was also involved in research and teaching in New York, San Diego, Ankara and Izmir. Başar’s route to multidisciplinary research was directly influenced, during the 1960s, by the advice of Werner Heisenberg and the renowned natural philosopher, Carl Friedrich von Weizsäcker. The Darwinian view discussed by Başar is the result of a longstanding collaboration with Theodore Holmes Bullock, in California. Três artigos de Başar, em co-autoria, anteriores ao livro. Neuroscience is awaiting for a breakthrough: an essay bridging the concepts of Descartes, Einstein, Heisenberg, Hebb and Hayek with the explanatory formulations in this special issue.